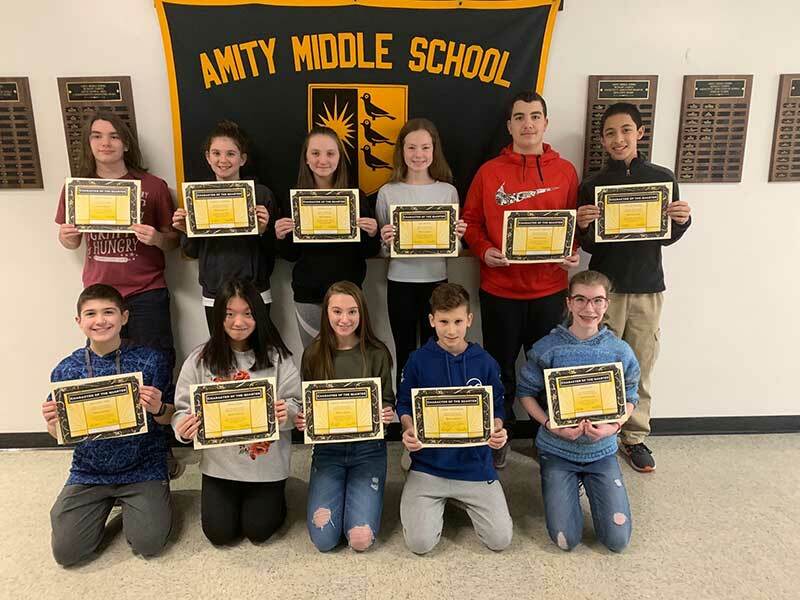 Congratulations to all the pictured students from Amity Middle School in Bethany who submitted at least one cost-saving suggestion for the school as part of the Jack Levine Efficiency Award of Excellence. Suggestions from these students included installing electric hand driers, installing solar panels and geothermal systems, ordering personalized lunches, and digitizing textbooks. 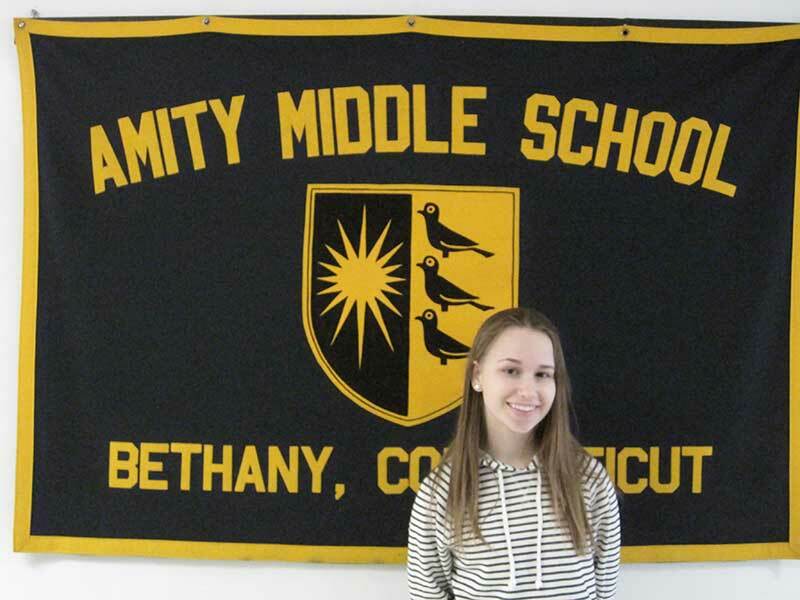 Christina Burland, a recent 8th grade graduate, won the Jack Levine Efficiency Award this year and was presented with a check for $300 at the June 11th meeting of the Amity Board of Education. Christina’s idea was to implement an electronic card system which would take the place of hall passes, saving paper and teacher time. 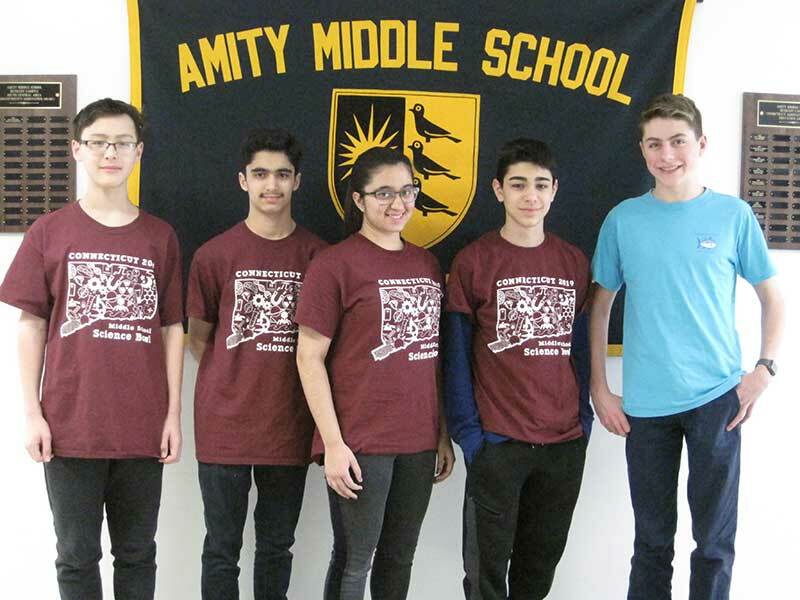 Amity Regional School District No. 5 hopes to implement this process, starting on a small scale, at Amity Regional High School sometime in the near future.